It is a buyer’s market! We hear this everywhere nowadays and it is an exciting time for people interested in buying homes. But…buyers beware! 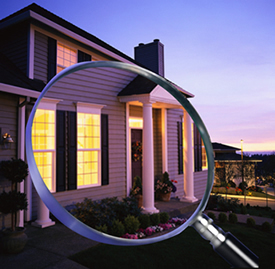 It is strongly encouraged and required by most lenders to obtain a home inspection before closing on the home. However, at what point during the home inspection do you ever see your inspector perform an inspection of the sewer line? Most home owners purchase their home without ever thinking about the sewer line and the condition of it. This can be a costly expense if the line is damaged in any way and could cost new homeowners several thousands of dollars to repair. After purchasing a new home, the last thing anyone wants to do is spend their hard earned money on repairing or replacing their sewer line. Instead, be prepared and hire someone to camera the sewer line and put your mind at ease! With a simple video inspection of the sewer line, you can tell if the line is at risk for collapsing or breaking, needing annual maintenance or best-case scenario is in excellent condition! Once the sewer inspection is completed, home owners are now educated and in a position to make a confident decision about purchasing the home. If problems do exist, the plumber performing the service as to the recommended repairs and associated costs can make suggestions. 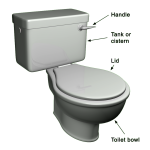 Choosing the Right Toilet for You Want to Make a Home Made Shed?